How Committed Is the U.S. to Fending Off a War Over Taiwan? 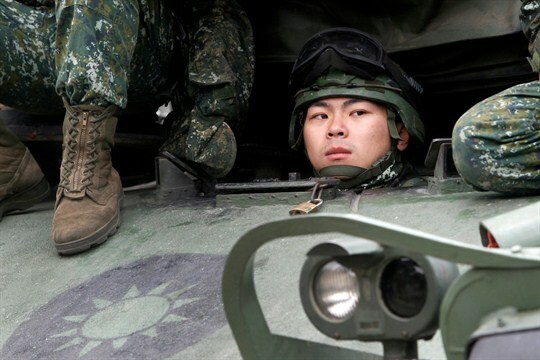 A Taiwanese soldier watches from an M60A3 Patton tank during a military exercise in Taichung, central Taiwan, Jan. 17, 2019 (AP photo by Chiang Ying-ying). China and Taiwan marked the Lunar New Year holiday this week with dueling propaganda videos showcasing their respective military might, released on social media. It was the latest sign that North Korea may no longer be the world’s most volatile hotspot, the nation most likely to unleash a major crisis that could spiral out of control. Now that dubious distinction may be shifting to Taiwan.